watch are prepared to do theirs. Acadis gives you the power to help ensure each responder has fulfilled all of the mandatory requirements for the job. You can manage testing across an entire range of observed skills, practical exercises, and written exams. Or you can combine them into sophisticated multi-part individual or team assessments. As you rely on Acadis to track training, skills, certifications and qualifications, you create a powerful, legally defensible record of your individual and team compliance. Blended learning lets you measure performance on all the variables most critical to you, everywhere they’re critical to you, in the classroom, at the shooting range, on the driving track, online and all points between. 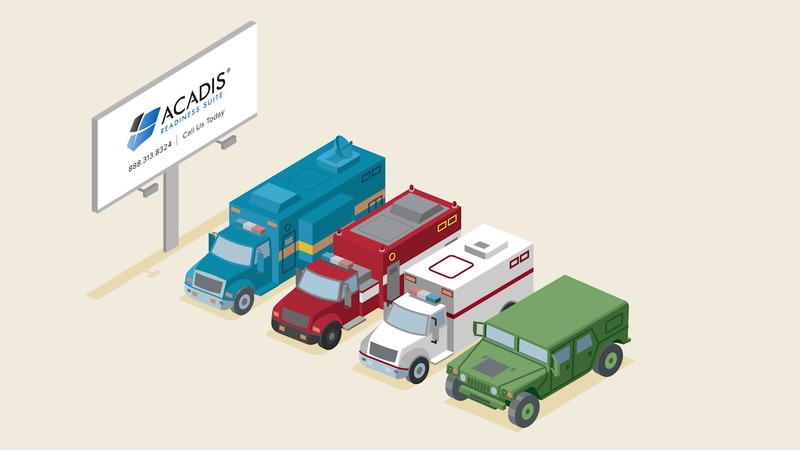 From weapons and communications gear to vehicles and K-9s, you can use Acadis to track and manage critical inventory resources right from your keyboard. When a crisis hits, you can use Acadis to know precisely which professionals and resources are ready to answer the call. Because you’ll know where they are and what they are trained and certified to do.